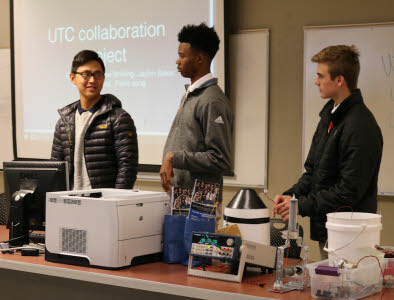 Dr. Daniel Loveless and Dr. Zach Ruble from UTC's College of Engineering and Computer Science have been researching ways to mitigate the devastation that malaria wreaks on Africa. 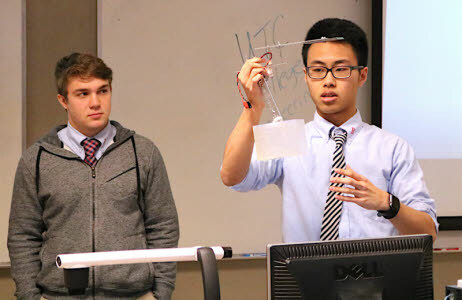 Among other ideas, they’ve been exploring the use of drones to test water samples for the larvae of mosquitos, which carry malaria, and to distribute chemicals to kill the larvae. 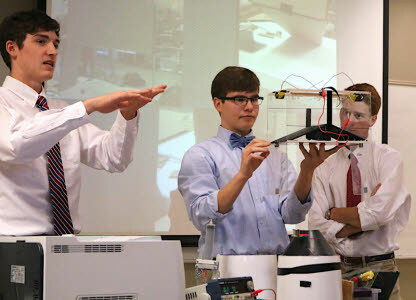 Over the past month, Baylor students, led by Dr. Mary Loveless, director of the school’s IdeaLab, have been building prototypes of devices that would attach to drones to carry out specific tasks. 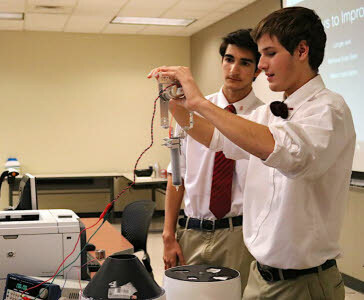 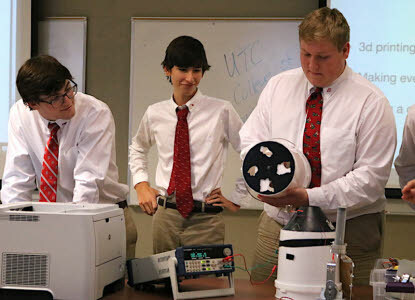 On Friday, the students came to UTC to present the seven prototypes they’d built. 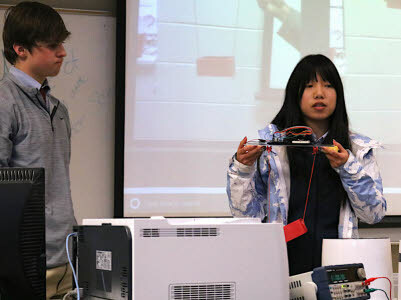 “We simply provided them with desired specifications and operating constraints; the students had the freedom to tackle the problems using any approach they saw fit,” Dr. Loveless said.